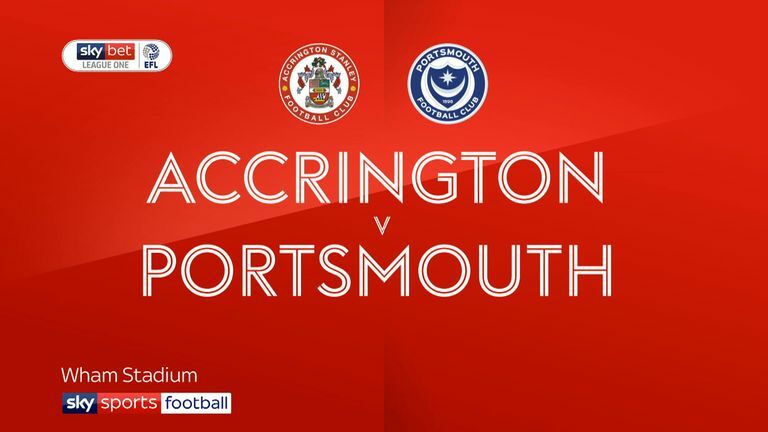 Highlights of the Sky Bet League One clash between Accrington and Portsmouth. League One leaders Portsmouth were held to a 1-1 draw by promotion-chasing Accrington Stanley at the Wham Stadium. Oli Hawkins fired home his third goal in three games after 62 minutes but two minutes later Stanley were level thanks to Michael Ihiekwe's first goal for the Reds. 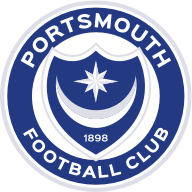 Pompey forced the pace in the opening 30 minutes with Stanley keeper Connor Ripley keeping out Jamal Lowe from a tight angle, denying Gareth Evans with a diving save before pushing a Ronan Curtis strike around the post. The Reds grew into the game and were awarded a penalty after 32 minutes when visiting goalkeeper Craig MacGillivray brought down Billy Kee in the area. However, the normally reliable striker fired his spot-kick straight down the middle and MacGillivray pushed it away. Pompey continued to create chances and a volley by Ronan Curtis thumped against the crossbar after 57 minutes. The visitors took the lead soon after when Evans put a free-kick into the danger area and Hawkins stuck out his leg to send it past Ripley. 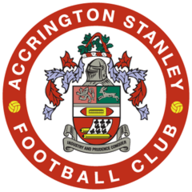 Stanley were back on terms almost immediately, however, when a Sean McConville free-kick was headed home by Ihiekwe, on loan from Rotherham to make it honours even.